For those that remember last year around this time I came almost straight from Interbike, did some more work travelling, and then turned back around again and then spoke at the ANT+ Symposium. Last year though I had slotted it in between another trip out of the country which left me only 24 hours at the Symposium to take it all in…as well as speak. This year though I’ll have a bit more time up there – and most importantly – I’ll again be speaking to the whole group of companies (there’s over 300+ companies in the ANT+ alliance). 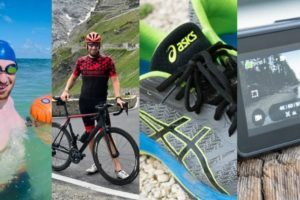 The list of companies spans a wide range of industries from the sports companies you know and love (Timex, Garmin, CycleOps, FINIS, Wahoo and a gazillion others) – to many you’ve never heard of, primarily because either they are in different fields (i.e. medical)…or they’re secretly working away on the next great thing. This year (full conference agenda here) I’ll be speaking about what you want. No really, I’ll be talking about what all of you say on a day to day basis. I receive hundreds of e-mails and comments each week regarding products that are either on the marketplace or ones that you want made. I’m taking that feedback and giving it right back to the folks who need to hear it: the companies themselves. In addition, I’ll also be talking about some of the trends that came out of the ‘What do you want in your ideal sports watch?’ survey that I did back in January. 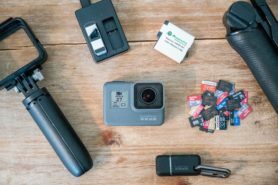 With over a 100 well thought out and written comments there, I’ve already heard of a number of companies that are using the data to make decisions around their new products (and updating existing ones). What’s cool about the ANT+ Symposium in comparison to Interbike is that it’s largely a different crowd. For example, companies like Garmin send their PR folks to Interbike (as well as a few non-PR folk), whereas at the ANT+ Symposium they just send their engineers. So in the span of a few weeks I get to chat with both sides of the coin. For companies that don’t attend Interbike (which is most companies that don’t have anything to do with cycling), they tend to include their top division leads as well as their engineers. And in some cases, there’s even organizations coming that aren’t companies at all. I’m really excited about one particular such academia group that I’m slotted to try out their ‘solution’. Like last year, I’ll have the whole thing recorded as well – but unlike last year I’ll actually get it uploaded (to be fair, I still might actually get last years uploaded now that the YouTube 15 minute limits are gone). And also like last year, I’ll offer the entire PowerPoint presentation for download. I’d love to be able to do some sort of live streaming of my session (since some of you requested it last year) – but I’ve got to still see what’s in the realm of possible there. So, I have two requests for you. Yes, you. A) If you’ve got anything in particular that you want shared/asked/pondered/articulated while I’m there – then consider this an open thread to toss ideas out on. I love hearing your ideas, and am always surprised at the number of new ideas I hear on a daily basis. Don’t assume I haven’t heard it before. B) If you’re going to the ANT+ Symposium (industry) and we haven’t already chatted, please hit me up via e-mail. Last time was crazy busy for the short amount of time I was there and I know I didn’t get to chat with everyone – which I felt bad about. This time I’ve got a bit more time up there and already have a ton of folks lined up (which I’m super excited about). 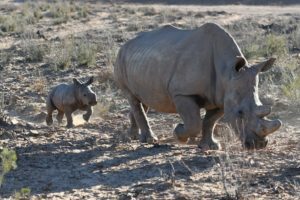 Thanks for reading and the comments – I really appreciate it! And remember, we’re half-way to Friday…almost there! Reid and I want a standard way to control trainers. You could tell Garmin to either ditch Bing maps or allow the user to choose between Google/Bin and openstreetmaps. Bing Maps doesn’t cut it for overseas users – particularly the aerial imagery. I would love to have a watch that vibrates along or solo without sounds. I’m deaf, so it’s important that I have some sort of tactile feedback. It can be soft vibrations. I can hear well with my cochlear implants, but I’m sure many of my other deaf triathletes/runners can’t. On occasions I could hear someone else’s Garmin go off thinking that it was mine and needed to back off if the HR got too high, or the mile splits or whatever…and it turns out it wasn’t. A light vibration will work. Many deaf people are very sensitive to how things “feel”, so if it vibrates on a handlebar, such as Edge, FR 305, or other cyclometers, they will feel it, so it’s not necessary to be strong. I’m wondering if hearing athletes would rather have a little bit of vibrations over sound if they’re racing against a competitor, and doesn’t want them to know/hear, or those that hear music and can’t hear the beeps. Good luck! I tried finding you in Interbike, and The Girl. No luck. Perhaps next year! (I live in Vegas…10 minutes from Sands…lol). I would love to try the FINIS Swim MP3 player someday…I’m deaf, but my bone conduction is perfect, so I wonder if it will work for a deaf swimmer….something to think about. I know I’m asking too much, but i wanted a watch that is as little as polar’s ones, that can be use effectively underwater ( like swimsense ) and that is a good GPS like Garmin’s ones. I mean, a watch that can be worn from the start untill the end of a triathlon at your wrist. Ok, it would be nice to have an Ant+ watch-type receiver that would take information from a smartphone and footpads, HR monitors and the GPS on the phone. Essentially a watch that simply is configurable for the data. If one does not use the GPS on the phone and uses a foot pod instead and HR monitor the drain should not be a problem on the battery. This could be used on a bike, running, etc. Cyborg Queen – many current Forerunner models vibrate; its one of my favorite features. Ray – I still think that an ANT+ enabled speed/distance monitor that had a plug to connect a wire to get exact distance pulses would sell by the bucketload to CompuTrainer users. I recently had to get a new sensor and attached it in a way that prevents my CompuTrainer from also being attached (sigh) – its 2011, we just shouldn’t have this problem any more. Other product thoughts… How about a little dongle that you can tape to your bike (or elsewhere) that does nothing but read rival formats and re-boardcast in ANT+? Or… a really good non-GPS Ant+ bike head unit that’s cheap and has a good battery? For engineer feedback (you lucky dog you), how’s this: remember that when people use your products, their goal is to run/whatever, not to use your products. This is something that Garmin understands far, far better than Timex (for example, their TGT won’t start timing a race if it doesn’t have a sat lock without you going through a menu of confirmation screens – try that when you’re treading water in an open water start where you almost certainly won’t have one)! And yeah, Garmin needs to waterproof their stuff better. The 610 would be almost ideal if I wasn’t afraid of breaking it by jumping into the lake after a long run one of these days and forgetting to take it off first. 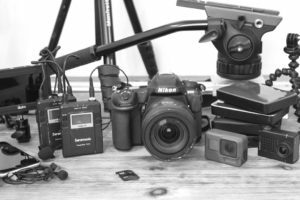 Final product thought – battery loss happens. Why can’t a GPS watch, when it gets down to 2% juice, simply turn off the power-sucking GPS functionality (it’d only last another 10 min anyway) and just run as a stopwatch for another few hours? Again, athlete-focused instead of product-focused. I’m far more likely to want my full race time with manual splits and 13 out of 26.2 miles of course then I would be to want 13.1 out of 26.2 miles of course and then nothing. Thanks again for all your work – enjoy the show! I agree with Cyborg Queen. As a runner and being partially deaf a simple vibration would go far in keeping me from looking at my watch all the time (hence taking my eyes off the road). Also because of recent experience with my Nike GPS+ I want to echo something you’ve said…an expensive watch should be completely water proof! A watch and rfid positioning system for races. Race directors place mats or transmitters at each mile marker. The watch reads these and sef corrects its GPS distance. That way, pace and distance would be accurate for instantaneous readout and pacing. Does the ANT+ group see any threat from Bluetooth 4.0? I love the ANT+ standard and am very excited to see it being integrated into phones (SonyE Active). Have any phone manufacturers expressed interest in ANT+ integration in their future devices? Thanks for all your IB coverage! I wish garmin had made the 610 fully waterproof! too late now, but definitely they should make all their future watchers waterproof! i’d love to take a swim in the pool with it, but i cant! My biggest concern these days with Ant+, from a consumer perspective, is the speed of integration. There are so many competing short-range wireless standards that it’s hard for one technology to be everywhere, but Ant+ appears to me to be isolated in the sports gadget niche. Now, I know that the moving force behind the tech was to use it with sports gadgets, but the concept of a “sports gadget” has now grown to include, at the very least, smartphones, and the sensors appear to be limited to the usual HR/Speed/Cadence/Power categories. I’d like to see more integration with current and future smartphone technology and I’d like to see more out of the box thinking on the types of sensors people could derive useful data from – Zeo is a good example of this type of thinking. I’d also like to hear if there is a technology solution that could provide access to multiple wireless technologies on the same chip without increasing size significantly. I’m willing to pay extra for an HR sensor that works with ANT+, BT, and W.I.N.D., but I don’t want a sensor that’s as big as my heart. At the very least, I wonder if there is a way ANT+ and NFC could live together so you could get the benefit of the low power NFC for some things (like tap your watch to your bike computer to instantly swap data in a triathlon) but use the more powerful ANT+ tech for the sensors to speak to each other over distance. My want in a sports watch is not very technical but I’ll share it anyway. I’d like nice big numbers that I can read easily without my reading glasses. There a a couple of men’s watches that do this – but if they could include larger numbers in a woman’s style watch that would be nice. Get ANT+ tech into more gym equipment. Drives me crazy when I’m traveling and the dang Polar logo is everywhere. So I either have to bring my 305 to monitor my hear rate, or I’ll have to buy a Polar strap just for travel. I am not at the latter point yet, but it’s getting close. Switching to an exchangeable wrist/arm band would be greatly appreciated on Garmin running watches. I find the Garmin 210 uncomfortably large on my wrist (I do not get used to it, the molded part is wider than my wrist). I wear it as an armband on one of the largest settings for runs. Being able to swap the wrist band out for an actual armband and wear it like many people wear ipods would be much more comfortable until they figure out how to make these things smaller. Ant+ dongle(miniUSB maybe) for cell phones and a mobile app that can collect the data and update an online site(Garmin Connect/Training Peaks etc) or send automatic email or text msgs at various points. This way friends and family can track you during races/training. I love the ability to upload my 310XT using the Wahoo dongle to Training Peaks or Garmin Connect, etc. And, like @Donnie Barnes, I HATE the fact that there is no way to upload data from my Garmin 800. I don’t want to have to wait until I get home to upload data. I don’t want to be forced to cart around wires and connectors so I can get it into my computer. Also, while we are on the topic, tell the Swimsense people that I want ANT+ from them as well. NO MORE WIRES! #1 request: A soft chest strap that’s both ANT+ and Polar compatible so that I can see my pulse on the gym equipment and record on my Garmin FR60 would be ideal. Suuunto’s dual comfort strap with ANT but not ANT+ is useless. Suunto’s sport watch features like altimeter, barometer and others look cool but I’m not buying a watch that can’t read ANT+ sensors. I like how Garmin’s web site graphs out your entire workout. Would be interesting to overlay temp and altitude to see patterns like bike cadence slowed down and heart rate went up as altitude increased going up the hill. Since Suunto is a member of the alliance and has partnered with Concept2 rowing ergs, ANT+ sensors and integration for Concept2 rowing ergs, instead of ANT would be nice. I record my stats on my Garmin FR60 I’d like Garmin to be able to read that sensor. In general the Garmin FR60 is a pain to navigate, especially for switching activities in the middle of a workout (from bike to run…). As another person mentioned, this is NOT athlete focused. Ideally the watch would just look for paired sensors whenever you hit the Lap button and switch modes on its own. 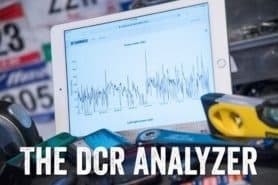 I agree with others that Computrainer and Tacx should move to all ANT+ sensors. I have no intention of figuring out how to get a whole bunch of sensors on my chainstay. If your product doesn’t support ANT+, I have no interest in your product. Not ANT+ related but what I liked about my Polar FT7, in addition to comfort, fit and simplicity, was the weekly summary feature: how many calories did I burn this week, how many workouts and how much cumulative time for all workouts this week. It would be great if Garmin had all that and could show weekly workout times by activity. I don’t upload my Garmin FR60 stats to the web app daily. Weekly at best. I’d rather capture on the watch when I’m doing the activity what the activity is rather than have to figure out what I did during 7 “General” workouts last week. Ideally I upload the stats and see “P90X” “Skateboard” “Kayak” “Indoor Rowing” and “Swim” without me having to type a thing. Scales: As long as Tanita is in the ANT+ market, the most expensive scale any consumer has ever seen should at least have a display built in at no extra cost. I can’t justify spending that kind of money on a scale that only I can use because only I have a Garmin watch and I definitely don’t want to need to use a computer with USB to read my weight. An iPhone app would be nice but is still no substitute for built in display. The Withings wifi scale has a built in display, free iPhone and web app, costs substantially less and has 217 reviews on Amazon. There’s a reason the Tanita scale has only 3 reviews and the $500 combo only 1 review on Amazon. Fun: Speedboard and downhill is a fast growing segment of the longboard skateboard market. An ANT+ sensor for recording speed, time and distance would be great. If they can measure #of pumps or pumping cadence that would be gravy as would auto-pause like in bicycle computers so the clock stops when you pick up your skateboard. Downhill boards are pricey and the people that buy them can likely afford a sensor and a Garmin watch and probably have iPhones. They shell out for specialty helmet or board mounted video cameras so I don’t see why they wouldn’t spend on something more practical. Standard mount for ANT sensors on bikes, as on Trek bikes. ANTcommunication with Shimano Di2 and electronic Ultegra. ANT signal recorders. 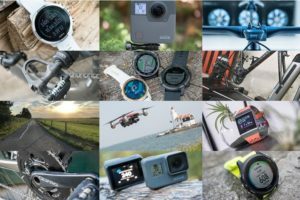 “Headless” garmin 500 etc. Fit a recorder under the saddle, and look at the data reading on the computer after the session. ANT tags for equipment. One tag for each wheel, frame, shoes etc. will make it possible for automatic logging of which equipment you use. will also make it possible to identify which wheelset is yours when traveling with your team. please increase number of bikes/setups in settings. live power graph, and make it possible to show one graph for each interval when doing intervals (stacked). Makes it possible to do a live compare of two intervals. What about portrait mode and landscape mode on the Garmin 800? Useful when showing live graphs. I want ANT+ options for phones. Cycling specific units and watches are great already but I think a lot of people carry their phones when they go on workouts in case of emergencies. It would be a game changer if that was all built into the same device. I want more choices for ANT+ phones. The Wahoo dongle is great but inconvenient. The Sony Xperia phones sound great but from what I can tell they all have mediocre screens compared to most other phones. I know I’m nitpicking now but when I start looking for a power meter next season that’s where I’m looking to get my ANT+ computer. It seems to me the idea of ANT+ is to integrate as much equipment as possible into a single device for monitoring and if that device could browse the web and make calls it would be worth A LOT of money. As a Polar user (625 to RS800CX), I loved the functionality and completeness of Polar Trainer software. Thinking I needed a change because I was tired of wearing the GPS arm band, I bought the Timex Global Trainer (TGT). While it was great that all the functionality I needed was in the watch, I was disappointed with Training Peaks. Limited functionality unless you subscribe? In addition, I was very disappointed that I could not set intervals based on pace or distance…it only lets me set the intervals by HR. So, I decided to box up the TFT, put it back on sale and go back to using my RS800CX until the new version of Garmin arrives. Thanks and good luck at the show. Looking forward to the presentations. The biggest weakness I see in the ANT+ ecosystem is that it is incredibly slow in allowing new sensor types. A small company with a unique idea is pretty much dead in the water unless they can either shoehorn things into one of the existing ANT+ classes or convince a head unit vendor to explicitly add support for them. They can of course make their own head unit, but then they’re spending a pile of money re-inventing the wheel. A head unit with a mechanism that allows aftermarket companies to expose/record new data fields would really do a lot to push things forward. Most data is pretty straightforward (ie integer value reported once a second), so a simple schema file that specifies field name/units/etc. for an otherwise unknown ANT+ device class would be sufficient for 90% of uses. Naturally, smartphones with ANT+ support offer some opportunities in this area but they don’t really have the market penetration to make this viable. Further, without a standardized mechanism for specifying these things a sensor maker would either have to get support added to a dozen different software packages or write their own (in which case you’d be screwed if you wanted to use more than one new sensor). One word: open, open, open (repeated three times because it’s so important). Open data formats and open protocols (for maximum interoperability), and yes, even Open Source software. Companies like Suunto would do far better if they got behind projects like Golden Cheetah, rather than reinventing the wheel abysmally (I left Suunto for Garmin because STraM was so awful and never got updated – at least Garmin are pretty good about software updates). Hardware companies could cut out a significant chunk of development cost by Open Sourcing their software, because the community could then provide faster fixes and improvements rather than waiting months for an undersized in-house development team. 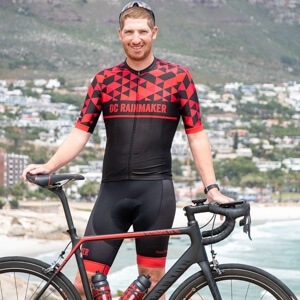 The first few to realise this (it seems Quarq already has) will initially enjoy competitive differentiation before it levels the playing field, but ultimately hardware companies should be competing primarily based on the quality of their hardware anyway. BTW I agree with Shaun 100% about Garmin forcing me to use Bing Maps. Just a simple request for head units hooked up to crank based PM’s. When you freewheel the crank keeps sending the same values as it is waiting for the next ‘event’. After 3 identical values the head unit decides this means 0. This is all fine as there’s no way round it. But in the file that is recorded you have these 3 second sections of power when you weren’t pedalling. It would be better if in the recorded file it went straight to zero if you have 3 identical readings followed by the zeros. 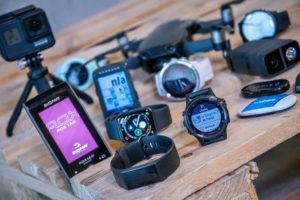 I agree with several others here who want a TRUE triathlon GPS wrist unit. I want it to be waterproof and able to track distance and heartrate data while in the water. I’d like to be able to set it up to easily switch between swim-T1-bike-T2-run. And the battery should last long enough for a long course triathlon! – An Ant standard for sending out remaining battery life. How am I supposed to know when my powertap is about to die? My expectations that it can be easy the coming years that new companies rebrand simple media-players/budget smartphones to new sport devices. All you need is ant+, 4 inch screen, gps and usb. Because of the use of standard smartphone models these devices are able to live update to the web/social media. All this data will be uploaded to different popular site with active user communities that create interesting new graphs, ratios etc. The ultimate product? Merging the Garmin FR310XT with the Finis Swimsense. Touch screen a plus, but not necessary. Speaking of swim watches. I recently transitioned to Training Peaks from Garmin Connect. I have lot and lots of manually-added swim and gym workouts that I would like to export in bulk from Garmin Connect. Do you know if there is a way to do that? Otherwise would you have any other suggestion on how to get that unrecorded data to TP? Thanks a lot!